The comments by Pope Francis on abortion, the sacrament of reconciliation and the Jubilee year of Mercy have caused quite a stir. Most Catholics were not aware of the automatic excommunication penalty associated with abortion. Those who have already confessed the sin of abortion wondered if their sacramental experience was valid. At the close of this article, I will include a clear and reassuring response from Fr Frank Pavone that briefly addresses these concerns. But I want to use this opportunity to broaden our discussion to include a very common and distressing phenomena associated with abortion and the Sacrament of Reconciliation. I hope this may be helpful for Clergy ministering to those with abortion loss in this coming Jubilee Year of Mercy. Dr Theresa Burke of Rachel’s Vineyard has noted for years in her international post abortion outreach, that it is common for women (without the benefit of a healing program) to confess their sin of abortion multiple times. There is a difficulty embracing the grace and forgiveness of the sacrament. Women and men may still struggle after confession with guilt, depression and anxiety. They may still be troubled by an inability to forgive themselves and trust that God really forgives them. Abortion is a complicated experience of grief and loss. Along with the abortion of the child, the natural expression of the feelings of grief and mourning and any public expression of the loss of their child are also, in a sense, aborted. The normal social support and religious rituals that help us negotiate the experience of grief and loss are not present after abortion. Women and men usually want to get as far away from the memories and feelings about their abortion event as soon as possible. This is reinforced by friends and family who tell them it was for the best and you just need to move on. Maybe they do “move on” and try to pick up and carry on with their lives. But they remain spiritually and emotionally wounded. At the heart of this wound is the reality that somewhere in the recesses of their heart and soul (even though often aggressively repressed and denied), there is a deep hunger to acknowledge, love and care for this child. In addition, the abortion experience is often one of great conflict. There can be some intense feelings of anger, betrayal, bitterness and hatred of self and others for being put in the position of making this desperate decision. Because of the complicated and intense feelings around the abortion event, there is a need for safe way to process those feelings in a supportive faith filled environment developed for those with abortion loss, such as a Rachel’s Vineyard Retreat. 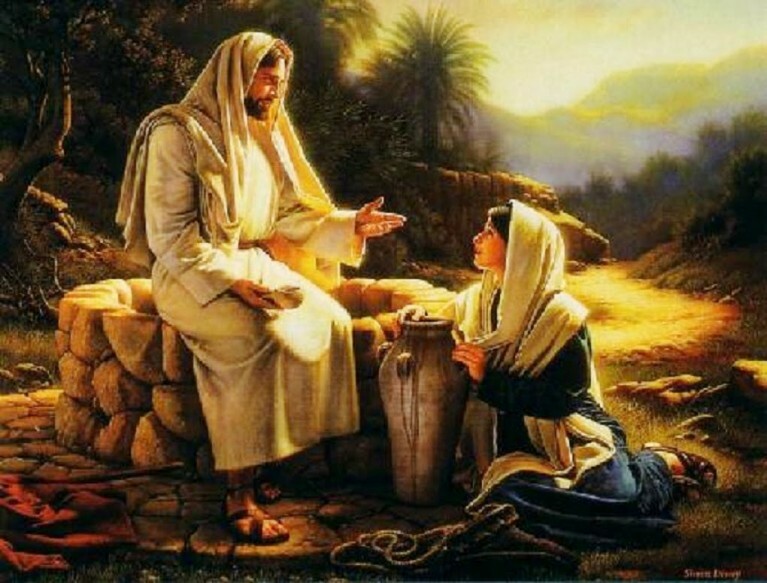 Without this opportunity to empty the heart of this toxic pain, there is difficulty for the wounded person to embrace the forgiveness and grace of the sacrament. Penitents remain forgiven and reconciled with the Church and the Lord after confession…but they may still struggle with other post abortion symptoms and accepting this forgiveness. The healing process allows mothers and fathers, as Dr Burke says, to empty the heart of their abortion pain and make room for the grace of the sacrament. Dr Burke also teaches that this repeat confession, without the experience of an abortion healing program, can be understood as a parent’s desperate attempt to remain connected to their unborn child. They are crying out for the need for a healing process where they can safely access their painful experience, and have a loving encounter with the child lost to abortion. The Rachel’s Vineyard program features grief work in a group setting, with the loving support of the retreat team and other participants, and within that process an opportunity to receive the sacraments of Eucharist and Reconciliation. The weekend program acts to cleanse the heart damaged by abortion. Now a mother or father is free to welcome their unborn child into their lives with love. They can develop a spiritual relationship with their child, and embrace the sure hope of being with them in eternity, God willing. There is now no further need to continue to confess their sin of abortion. May this Jubilee Year of Mercy call many wounded souls to embrace the mercy and forgiveness of Christ and His Church and to consider attending an abortion recovery program. The recent news about the Pope giving extra authority to priests to absolve the sin of abortion is good news, but is also causing some confusion. I will be commenting more about this in the weeks ahead, but initially it is important to understand a couple of things. Some Catholics have wondered whether they were properly absolved in the past. Yes, you were. There is no need at all to worry about the past. Sins that have been confessed and absolved are absolved, as is any penalty that may have been incurred. Keep in mind that many bishops had already given to their priests the full authorization to absolve both the sin and the penalty. What is being said today by the Pope is that all the priests who had not been given that authorization will now be given it. But if they didn’t have it before, then they would have known that and would have told the penitent that they had to come back at a later time. The bottom line is simple: do not worry. This is all about more mercy and peace, not less. This entry was posted on Wednesday, September 2nd, 2015 at 3:06 pm	and is filed under Uncategorized. You can follow any responses to this entry through the RSS 2.0 feed. You can leave a response, or trackback from your own site.